Welcome to Bossman Barbers. Based in Melbourne, in the eastern suburb of Ringwood East, Bossman offers men a complete range of barbering services and a premium experience you will never forget. 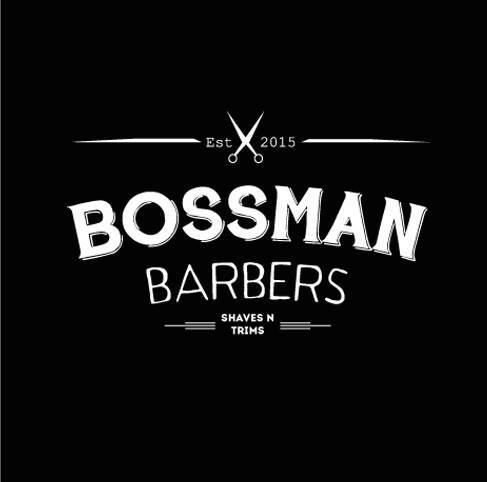 Specialising in haircuts, cut throat shaving and styling, the talented team at Bossman Barbers undergo regular industry training to ensure they are up to date with the latest products and trends. Whether you&Atilde;&cent;&iuml;&iquest;&frac12;&iuml;&iquest;&frac12;re looking for something edgy or classic, you&Atilde;&cent;&iuml;&iquest;&frac12;&iuml;&iquest;&frac12;ve come to the right place for all your man scaping needs. Bringing the inner city Barbershop to the outer eastern suburbs, Bossman Barbers was created with the new age man in mind. Giving them somewhere to relax an ice-cold beer while getting the full barbershop experience. So next time you&Atilde;&cent;&iuml;&iquest;&frac12;&iuml;&iquest;&frac12;re in the area, stop by for a cut (no appointment needed), or just to say hi, at the new place to be, the one and only men&Atilde;&cent;&iuml;&iquest;&frac12;&iuml;&iquest;&frac12;s destination in the eastern suburbs. Bossman Barbers. At ANJ we offer a family friendly environment where everyone is welcome. We specialize in cutting and coloring and aim to provide affordable prices. Services include eyebrow and eyelash tinting, face and body waxing, electrolysis, capillary treatment, facial skin cleansing, eyebrow shaping. Mention of this advertisement will provide 1/2 price first appointment. Prices start at $25 for 10 minutes of Electrolysis. By appointment only, contact Kerri by phone Monday to Friday or SMS anytime. We cater for everyone, with lots of room for the kids, a motor bike for them to have their hair cut on, and a kids corner with lots to do, Mum's and dad's are well looked after with all the latest styles and products to have you looking your best, Nan and Pop are very welcome too, with perms and sets, tapering or just a light trim. So come on down and give us a go.